In a person’s day-to-day life, there are really no guarantees. Unfortunately, even a task as simple as driving to work has the potential to end badly. Every day, across the country, people are involved in car accidents, which have the potential for serious damage to persons and/or property. While everyone takes on a certain amount of risk when choosing to drive a vehicle, the reckless and negligent behavior of some drivers increases that risk significantly. When a driver chooses to engage in unsafe driving habits, they are putting others at risk of vehicular damage, personal injury, and possibly death. One of the most dangerous driving practices (which is, unfortunately, fairly common) is driving under the influence. 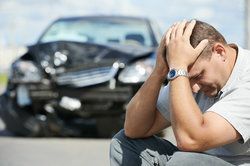 Car accident lawyer Lynn Harris educates his Salt Lake City clients on how significant car accidents and DUI damages can be, and fights hard to collect ample compensation for those who have suffered at the hands of a reckless driver. The public, police agencies, and private organizations all seem to have experienced a recent surge in the battle against drunk driving, or driving under the influence. This is probably because there is now more evidence than ever that driving under the influence has very real and serious consequences. When the brain is under the effect of alcohol or drugs, studies show that there is a significant decrease in reaction times and a decreased ability to make smart, rational, and cautious choices. These effects, when combined with driving, can make for a deadly combination. Statistics show us that DUI significantly increases the risk of auto accidents. In fact, on average, two out of three people can expect to be involved in a drunk driving crash sometime in their lifetime. Among teens, car accidents are the leading cause of death, with roughly 25 percent of teen car accidents being the result of DUI. DUI accidents may be as minor as a simple fender bender, but are more likely to have severe consequences, including serious injury or death. Victims of auto accidents caused by DUI may suffer from a range of physical, emotional, and financial consequences. While any crash is likely to result in damage to a person’s vehicle, in most cases of DUI, personal injury also occurs. An injury sustained in a DUI accident may require medical attention resulting in costly medical bills. This may also result in a temporary or permanent inability to work and a significant loss of income. These are all damages that may be compensated. Additionally, Lynn Harris may help clients collect financial compensation for pain and suffering and, possibly, punitive damages, which serve as a punishment for reckless behavior. Those who have suffered as the result of an auto accident caused by DUI often have a very strong case for collecting financial compensation for damages they have incurred. If you have been involved in an auto accident, it is important to act in a timely manner to ensure that you receive maximum compensation for damages suffered. Contact us at your earliest convenience to discuss your case with attorney Lynn Harris and learn how he can help you fight for what is rightfully yours. We look forward to hearing from you.